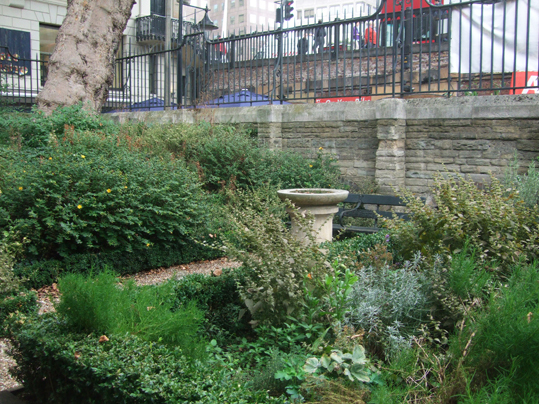 I was working in an office near London Bridge last week, close to Southwark Cathedral, and I discovered that the historic herb garden was a wonderful, quiet place away from the noise and bustle of Borough Market and hoards of tourists. The reason it is so peaceful - I had it all to myself when I was there - is that Southwark Cathedral has recently locked all the gates that lead directly to the gardens and grounds because people from the food market next door were leaving too much litter. Now, the only way into the grounds is through the cathedral itself and no food is allowed. The herb garden is tucked away around a corner and you can hardly see it from outside. Obviously, you can't take your lunch into the herb garden, but for quiet meditation or a nice spot to sit and read a book, it is perfect. 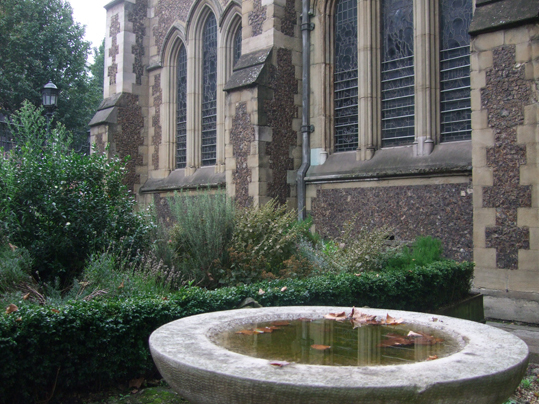 Following the completion of the re-roofing of the Retro choir of the Cathedral the ‘monastic’ herb garden at the east end of the Cathedral has been reinstated. As the plants grow you will be able to see the kind of herbs that the canons of the Priory of St Mary Overie would have used as they cared for the sick of the area. It was from here that St Thomas’ Hospital was established. The replanting of the herb garden was undertaken by Walworth Garden Farm Walworth Garden Farm is a local charity and social enterprise that has been in operation since 1987, providing environmental education, training in horticulture, beekeeping courses and garden maintenance services.